Megastar Amitabh Bachchan has praised Marathi cinema and says it has taken a “great stride” over the years. Amitabh on Wednesday took to Twitter, where he shared the link of the trailer of Marathi film “Boyz”, which stars Sumant Shinde, Parth Bhalerao and Pratik Lad. 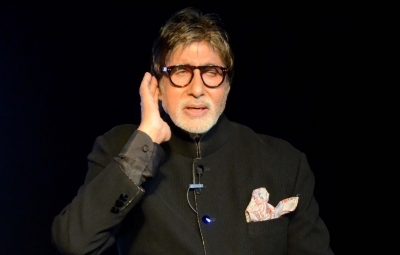 “Marathi cinema has taken great strides… another film ‘Boyz’ trailer,” Amitabh tweeted. “Boyz” directed by Vishal Devrukhkar, also has an item number by actress Sunny Leone. On the acting front, Amitabh has two films in his kitty — “Thugs Of Hindostan” and “102 Not Out”. He will share screen space with veteran actor Rishi Kapoor in “102 Not Out”. The two will be working together after over two decades. “Thugs of Hindostan” also stars Aamir Khan, Katrina Kaif and “Dangal” fame Fatima Sana Sheikh. The film is directed by Vijay Krishna Acharya. An adaptation of the 1839 novel “Confessions of a Thug”, the movie is slated for a 2018 Diwali release.